Sometimes you just have to take a double bass onto a train— or in my case, all of the time. But don’t worry, it’s not so bad. Sometimes it’s even a grand old time. However, there are a few obstacles to avoid— rush hour, of course; bicycles taking up valuable space; babies, with their luxurious strollers; Cubs fans. But you just stick with me and you’ll be fine—except actually we should split up because there won’t be enough room. Playing a person-sized instrument comes with a few considerations: a Kia Rio is a car better suited for a bassoonist than a bassist, and maybe pass on the five floor walk-up, unless it’s close to the train, because that’s the initial step in this journey; with the instrument over your shoulder, we first have to walk down the street to the nearest ‘L’ stop. Some important strategy here, we’re going to walk briskly. We’ve got a train to catch, plus we’ll get in our exercise for the day. It’s a time saver. So here we are on the platform of the Blue Line. It’s the only line I really know, and if the Blue Line isn’t the best of the eight differently colored lines, it’s certainly one of the most primary. And since we briskly made it through the crosswalk on the way here, we’re just in time to catch the next train. Here it comes, screaming down the tracks. Like a game of chess, your positioning is crucial and your opening moves can and will decide your fate. Each car has a single area of priority seating, a nice open room formed on the other side of the train’s vestibule. It’s for seniors and people with disabilities, and bass players. As the train grinds to a halt we’ll put in ear plugs, but keep your eyes peeled for a car with no one using this spacious corner and enter there. 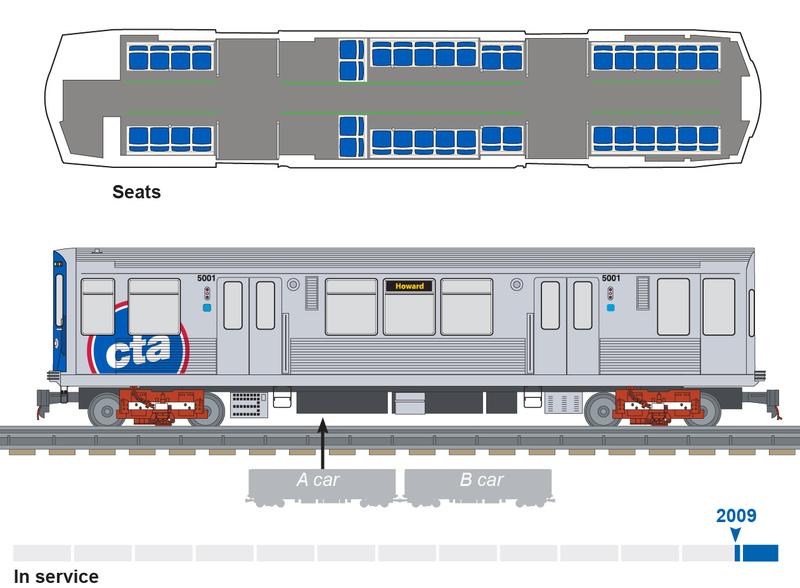 ABOVE: Anatomy of a CTA train car. | © 2018, Chicago Tribune. After this, it’s smooth sailing, just lean back and enjoy the ride. The doors close, Lee Crooks welcomes us aboard and we are set in motion. Feel the electricity in your toes as the conductor tunnels down the line at occasionally terrifying speeds! 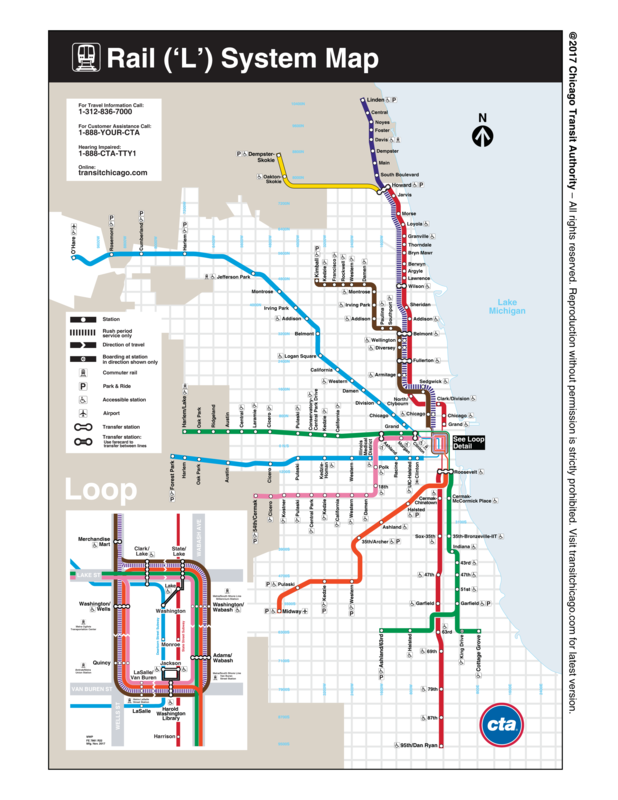 The Blue Line is a fossorial creature and soon, just past Belmont and Logan Square, we’ll emerge at California Ave. into the open air. Here the train windows become moving portraits of our town. We scrape along the rooftops —showcasing beige brick walls; passing square, modern apartment buildings; walls of graffiti and parallel trains driving in the other direction, somehow creating a flittering collage of bricks and aluminum. A nice, calm train ride is a beautiful thing. You can take in the sights of the city, you can stare at your phone, you can write down verbose sentences for your blog post. 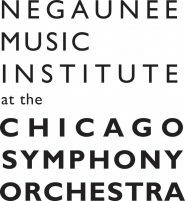 We’ll get off at the Monroe stop to get to Symphony Center. By this stop, the crowd of passengers we picked up on the way has thinned out and it shouldn’t be much trouble to shuffle around to the door and exit the train. We bass players are a punctual bunch and left plenty of time, so we’ll casually move up the stairs and kindly ask the CTA employee to unlock the gate to avoid having to hoist the bass up over the turnstile. Now to get to this Civic rehearsal we just have a nice six-minute walk remaining. Turn left at Flamingo, maybe purchase a StreetWise, you can even pick up a new religion right here on the sidewalk. Afterwards, it’s a brisk five minute walk to catch the train back and do it all again. Maybe we’ll end up facing the other side on the return, either way is fine with me. From having to carry this bass around so much. A slightly reimagined excerpt from Carl Sandburg’s Chicago, 1914. TOP: Photo by Mostly Photography, 2016.